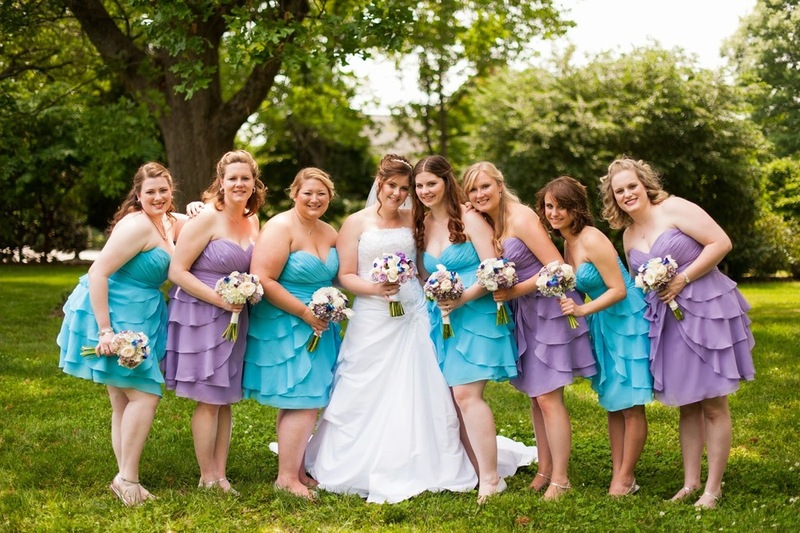 "Brides, do yourself a favor and hire C and D Events to plan your dream wedding. They were the best money we spent on our wedding." ~Carey M.
Everyone is unique and so is your wedding! We tailor our packages to whatever you need; whether you are a DIY bride or just a busy gal, our goal is to meet your particular needs. We like to meet over some coffee and chat about your day and get to know you and your fiancé. Listed below are four of our most popular packages. However, if one of those doesn't sound perfect to you - we can definitely customize the right level of service you need. Chat soon! My favorite thing about weddings..
...is to be a part of people's lives. I love being in that moment with them. It is truly an honor and such an unforgettable experience. Even though we have done hundreds of weddings, I can still remember my clients, their joy, and their excitement. I totally didn't follow directions and couldn't pick just one picture from this day! There is so much about this wedding that I loved. The Bridesmaid flowers are my absolute favorite flower - they are always just stunning. I loved how happy Ruth was all day. She was beaming from the moment I saw her until the end of the night and who could ask for any thing better? The bottom picture is my absolute favorite picture of all time. The little girl praying just reminds me of what she represents- the innocence and faith of a child. I could look as these pictures all day! What you don't see is the fact that there is dancing in an intimate setting of a table set for 30 with only their closest friends and family in attendance. I love small, intimate weddings where the guests are just as important as the couple. These two were my favorite couple of all time. I loved the planning process, I loved their story, and I loved how sweet he was to his bride. Hands down - my absolute favorite. I am such a sentimental person. This has to be by far my favorite end of the night picture. Not only was this the most epic exit, but it totally captures what the night was like. It was filled with fun, laughter, and so much love. I absolutely adored this couple and loved planning every second of their day. It was perfect and I walked away with renewed energy and a big smile - it was that much fun! This wedding. It was gorgeous! 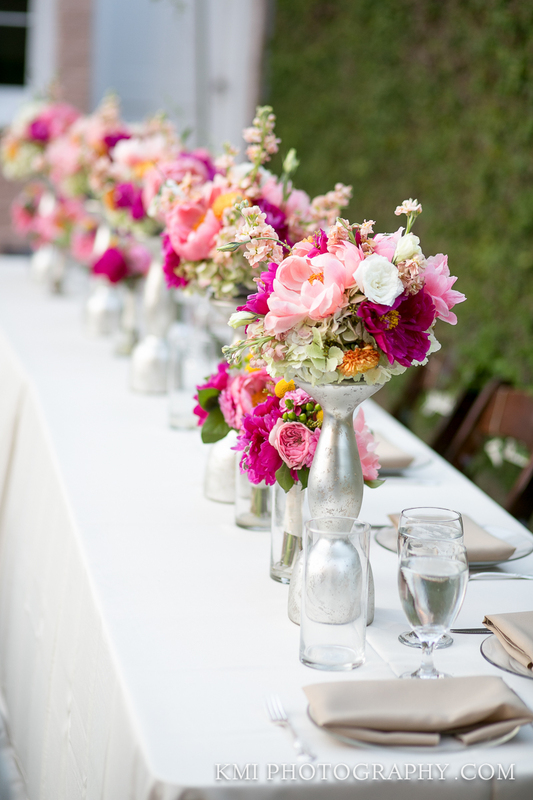 The bride loved Peonies and we made sure to incorporate them every where. This is by far my favorite design to date. It was so cheery, romantic, and truly magical. That bouquet was ah-mazing and whenever I pull out a picture, brides gasp. It was stunning. I loved this day. My team was amazing, the weather was perfect, and these clients were just the sweetest. Oh - these two. I was genuinely sad to see these two get married because it meant I would no longer be planning their wedding! Every meeting there was laughter. Every meeting it felt like friends just grabbing a coffee. I loved that they trusted us and didn't question our advice. They were such a joy to work with. This picture is one that reminds me what a wedding is all about - the couple. I want to party here! Kyle & Katelyn's gorgeous wedding reception was held at the Bellamy Mansion. Oh I still drool over this picture, that perfect setting, and the gorgeous bright floral designs! Not only do I LOVE this sweet venue (and want to live there! ), but I equally loved this couple and that pretty little arch they stood in front of. Loved the vintage charm and sweet worshipful time that was their ceremony. Meet my friend Kim - world's happiest bride. Her wedding day was so precious as it came with so much emotion and is a true happy-ending story. Kim lost her first husband due to a tragic accident while she was only a few weeks pregnant with her son. A few years later she really did meet her prince charming in Keith! I love all the details behind weddings. This wedding was really fun. The bride usually puts so much effort into knowing every detail of a wedding that it is rare to see her surprised. At this wedding all the guests filled out well wishes on a paper airplane and they surprised the bride by launching them all into the air, it was really awesome. I loved my wedding. It was a blast to see all of the details that I spent so long planning come together so nicely, it was truly the wedding of my dreams! That wedding was awesome because it was really unique. I love how the bride and groom incorporated their theme and love for balloons in a really fun and classy way.